SALT LAKE CITY, UT (February 1, 2019) – Today the Salt Lake Chamber, Utah’s largest and longest-standing statewide business association, announced the Small Business Award winners who will be honored at the upcoming Small Business Summit: Ignite & Inspire on Friday, February 15th at the Salt Lake City Marriott University Park. 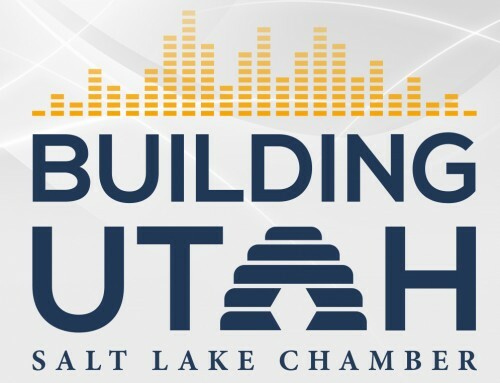 The half-day conference provides small business owners, managers and entrepreneurs the opportunity to come together, learn new tools, gain practical skills and make invaluable connections to help support the growth and success of small business in Utah. Those in attendance have the opportunity to visit several breakout sessions featuring topics such as strategic planning, marketing and sales, finding and retaining talent, and more. This year’s Keynote Speaker is Sarah Calhoun, founder and owner of Red Ants Pants. Tired of wearing men’s work pants that didn’t fit, Calhoun designed pants that would fit, function and flatter working women. Red Ants Pants are made in the USA and that will not change. Red Ants Pants is based out of White Sulphur Springs, Montana where the storefront, distribution center, and international headquarters all reside in an historic saddle shop. Calhoun has become an inspiration to entrepreneurs nationwide and is known for her dedication to supporting rural communities. LUX is a family of designers, artisans, and epicureans with a lifetime of combined expertise. Founded in 1995, LUX is built on passion and an unwavering commitment to excellence. They take a boutique approach to event production, including creating customized menus featuring the freshest of ingredients. LUX is your destination for incredible, cutting-edge events! Hamlet Homes is committed to providing homebuyers with quality, customer-oriented townhomes and single-family homes located in attractively designed neighborhoods in northern Utah. The Hamlet Companies will celebrate 25 years in business this April, and as of this year, Hamlet has developed over 3,600 homes in 60 communities and Hamlet Development Corporation has developed over 4,500 lots for Hamlet Homes and other builders. Hamlet’s motto is: Great Homes, Great People, Great Experience. Inspired by the struggle of keeping her twin boys’ beds tidy, Betsy created a zippered bedding prototype and navigated a 2014 Kickstarter campaign launching Beddy’s with $108K raised in 40 days. From simple designs and limited sizes, Beddy’s zippered bedding is now offered in designer fabrics and patterns available in sizes from toddler to king beds. Beddy’s is available online and in 16 RC Willey stores. Beddy’s growth has been recognized as one of Mountain West Capital’s Emerging Elite in 2017 and just 4 years after launch, in 2018, Beddy’s was named #270 on Inc’s 5000 after demonstrating a four-year growth of 2,610%. The Inc. 5000 list also revealed that Beddy’s ranked #9 as one of the 10 fastest-growing private companies in Utah. The Enterprise – Utah’s Business Journal is about business and for business. Delivering up-to-date, relevant, actionable business news, covering industries such as finance, transportation, construction, energy, and real estate, The Enterprise’s news content is unique. Their goal for the last 48 years is to rapidly inform so that businesses can take immediate steps to grow, enhance and protect their business.